In case you haven't noticed due to their disguise, camouflage prints have been very popular this season. Sneaking their way into everything from dresses to jeans, the print is not just for hunters anymore as fashion forwards have been sporting this look everywhere. If you want to try the look but are not comfortable with wearing a camo jacket or a camo pair of jeans, the best way is to add it as an accessory such as a shoe or handbag. That is why I love this Valentino bag. 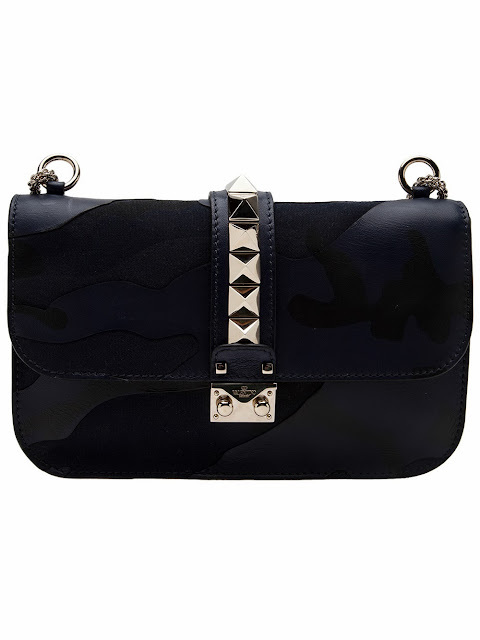 Part of the Rockstud collection, I have been coveting this Rocklock Medium Shoulder Bag for a while, and realizing that it was part of Valentino's Camouflage Capsule Collection made me want it even more. Not only do I love the hardware "rockstud" details, but the size of the bag is perfect whether wanting to wear it for day or night. 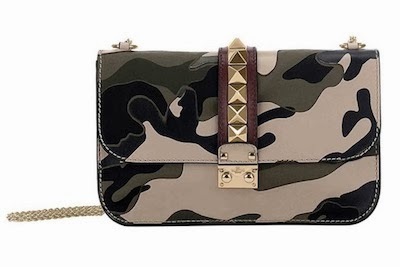 Slung over the shoulder or across the body, this bag would add just the right amount of camouflage to any outfit. 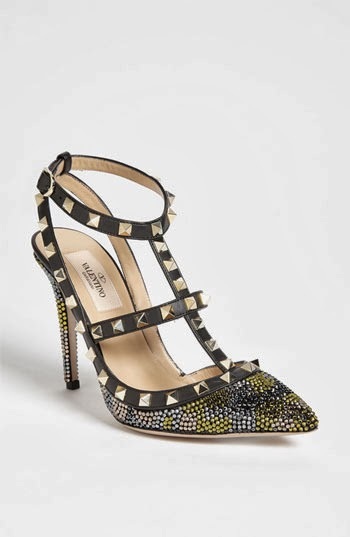 Valentino's Camouflage Capsule Collection also includes the Rockstud Pump, which is another perfect way of adding camo to your outfit. 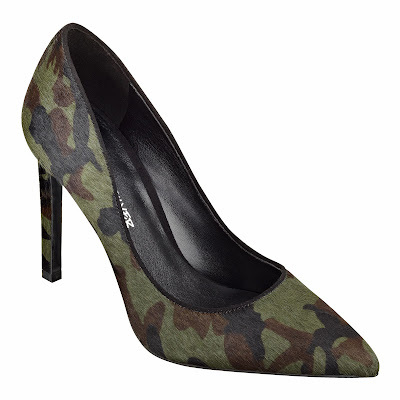 For a more affordable option, I like this pump from Nine West. Whether wearing it with a black dress or jeans and a tee shirt, it will add the right about of interest to your outfit. What a great statement bag that would be!